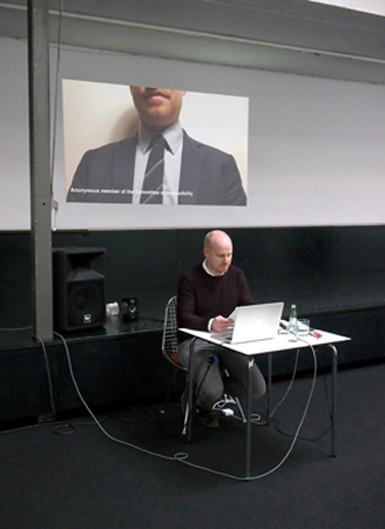 Having many years of experience as a curator for projects outside the institutional realm and within a shared ‘public’ space, Huib Haye van der Werf will give a lecture on the impossibilities he encounters that are quite unique in attempting to realize works of contemporary art in such a context. His lecture will focus on the bureaucratic and rhetorical attitudes he has encountered in the past, and will present a conglomeration of these as the ultimate impossible show in public space by means of the "Committee of Impossibility". Huib Haye van der Werf is partner and curator for TAAK - an international platform based in Amsterdam that develops innovative art projects and educational programmes relating to social issues such as ecology, urbanization, social design and human rights - and Head of the Artistic Program at Jan van Eyck Academie, Maastricht.